Straddling the southwestern coastline of Scotland, Ayrshire is the perfect place to go for a family holiday. Boasting a landscape of rolling green hills seemingly ruffled by the wind, a gleaming coastline of ragged sandstone cliffs and bosomed by the dark grey Irish Sea, it is an area of breathtaking natural beauty. The home of Scotland's national bard, Rabbie Burns, Ayrshire teems with stark castle ruins once inhabited by the lowland clans, as well as over 50 golf courses, but Ayrshire's specialty lies in her sumptous cuisine: whether it's beef, lamb or mutton, Ayrshire farmers are renowned throughout the world for their delectable produce, which you will find being served in hotels, restaurants and old pubs. Picturesque, simple and revitalising, and only 40 minutes from Glasgow, the best places to stay in Ayrshire will leave you breathless. Take the ferry out to the Isle of Arran and explore the beautiful island's ragged coastline and looming mountains, like Goat Fell. Enjoy a round of golf at one of the 50 golf courses in the region! Head over to Alloway, on the outskirts of Ayr, and visit the thatched cottage once the home of Robert Burns. Place a bet on a horse at the Ayr Racecourse! Immerse yourself in industrial history at the Scottish Industrial Railway Centre. Explore Culzean Castle, an elegant 18th century castle that once housed the Kennedy clan! Check out the Maclaurin Art Gallery in Ayr - featuring modern art dating largely from the early 20th century onwards. Full of outstanding natural beauty, good food and a great range of activities, Ayrshire is the perfect place to go for a family holiday in Scotland. 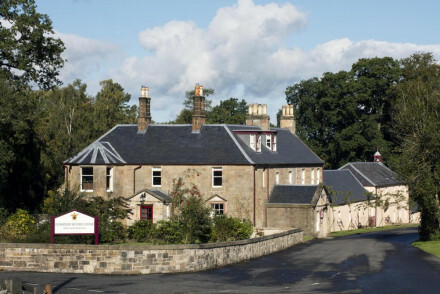 Find out more by checking out our collection of the best places to stay in Ayrshire! Ladyburn House: indulgent breakfasts, traditionally-furnished rooms adorned with antiques and award-winning manicured gardens, this gorgeous country house is amazing value for money. Set amidst woodland and rolling fields, it is the perfect place for a rural getaway. Dumfries House Lodge: a cosy lodge set in the Dumfries House estate, offering traditional rooms with chintz fabrics and antique furniture and an elegant lounge with a roaring fireplace. An authentic Scottish experience! Perfect hideaway nest for couples. Cosses Country House: in the heart of the valleys of Crailoch Burn, this 17th century house offers acres of gardens, pastel-coloured rooms and locally-sourced, hearty rural food. Delightful! Glenapp Castle: you can't get more authentically Scottish than this. A family-owned baronial castle in the heart of the lowlands, with fairytale turrets and towers, offering oak-panelled rooms with fine antiques and rich fabrics, not to mention an award-winning restaurant. Pure Scottish luxury. The best time to go is during the summer, when the temperature ranges between 11 and 20 degrees. Fly to Glasgow International Airport, get the shuttle bus to the Bus Station, walk to Central Station and get a train to Ayr, from where you can get a taxi or bus to your destination. 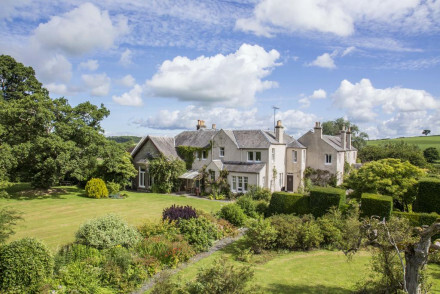 An elegant country house set within award winning gardens. Traditionally dressed rooms feature antique furniture, chintz fabrics and the best have four posters. A 'granny flat' offers privacy for families. Indulgent breakfasts are served and there's a host of rural pursuits in the area. 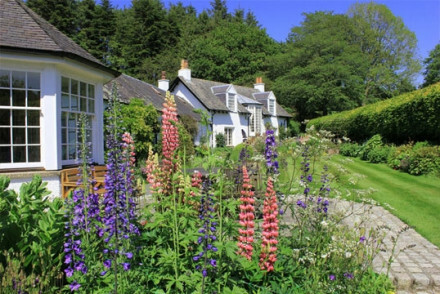 Country Escape - A tranquil spot, set in beautiful gardens and surrounded by pristine countryside. Fishing - Fly fishing can be arranged on the Kilkerran stretch of the Water of Girvan. A cosy lodge situated on the Dumfries House estate. Rooms are traditionally dressed with chintz fabrics, antique furniture and patterned wallpaper. An elegant lounge with open fireplace is ideal to unwind after a day spent outdoors. An authentic Scottish experience. Country Escape - A traditional Scottish lodge, with crackling fires and cosy rooms, placed on a larger estate ideal for a rural escape. Sights nearby - Take a tour of Dumfries house built for William Crichton-Dalrymple, the 5th Earl of Dumfries between 1754 and 1759. Great walks - Take long walks through the manicured gardens and surrounding parkland. The valleys of Crailoch Burn are home to this 17th century property. There are open log fires, 12 acres of manicured gardens and pictures of the family black labs! Country house in style, rooms have pastel colours and floral fabrics. Locally sourced food is served. A Scottish home from home! 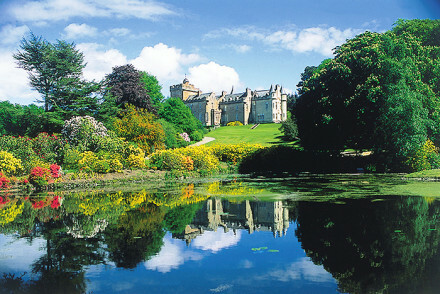 Sights nearby - Visit the historic Culzean Castle or the birthplace of the famous Scottish bard Robert "Rabbie" Burns. Great walks - Beneraird Hill and the old road from Ballantrae to New Luce are excellent walking routes. Birdwatching - Ballantrae Bird Sanctuary has Gannets, Peregrine Falcons and even Puffins can be seen. Fishing - Catch your very own Scottish salmon in the River Stinchar. A family owned and occupied baronial castle in the south west of Scotland's historic lowlands. Underneath its fairytale turrets and towers there are oak-panelled rooms, rich fabrics and fine antiques, as well as modern award winning cuisine and impeccable service. The perfect country escape.